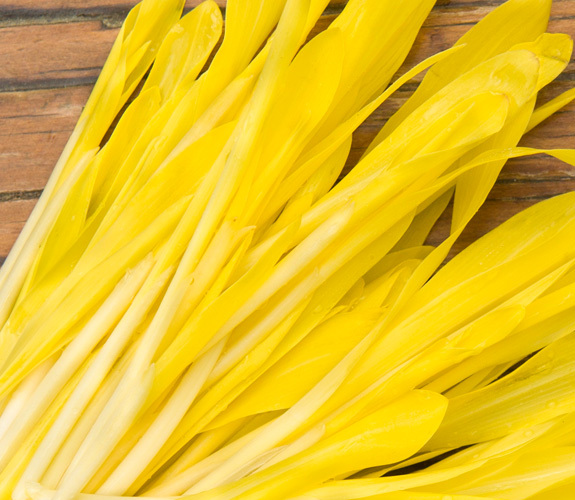 Perhaps one of the most striking microgreens available, Yellow Popcorn greens are delivered with a vibrant yellow colouring. When kept out of direct light, Yellow Popcorn Greens remain a bright yellow and can be an immediately elevating element of any dish. Yellow Popcorn Greens are only grown from certified organic microgreens seeds in soil, in a sterile and natural environment. Yes, they are grown from popcorn kernels! They are grown to between 2″ – 4″ and take on shape that looks similar to a long feather or blade of grass. The leaf and the stem of the microgreen are edible, however it is not recommended that the root be eaten. In taste, Yellow Popcorn Greens are very sweet. The sweetness comes primarily from the stem, and the leaf is slightly bitter and grassy tasting. 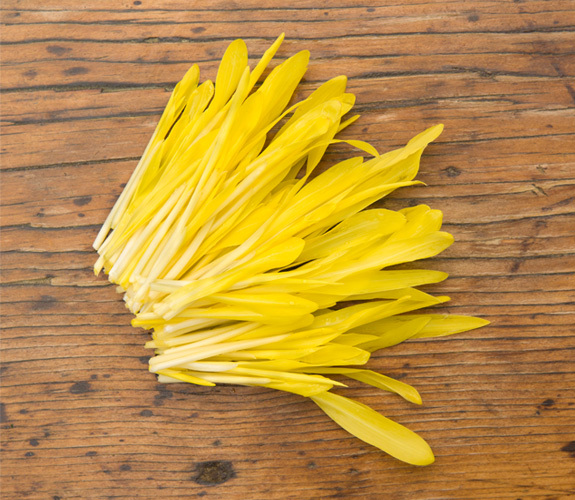 Yellow Popcorn greens have a flavour that is strong, and lingers long after they have been swallowed. They are sometimes identified as having a mild ‘corn-on-the-cob’ flavour, however it is not prominent. They are tender, yet slightly crunchy in texture. 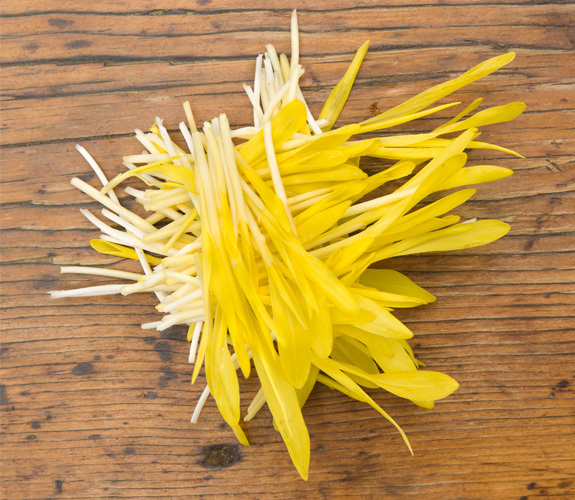 Yellow Popcorn Greens have a strong sweetness and are great as a raw element of any dish, especially salads.